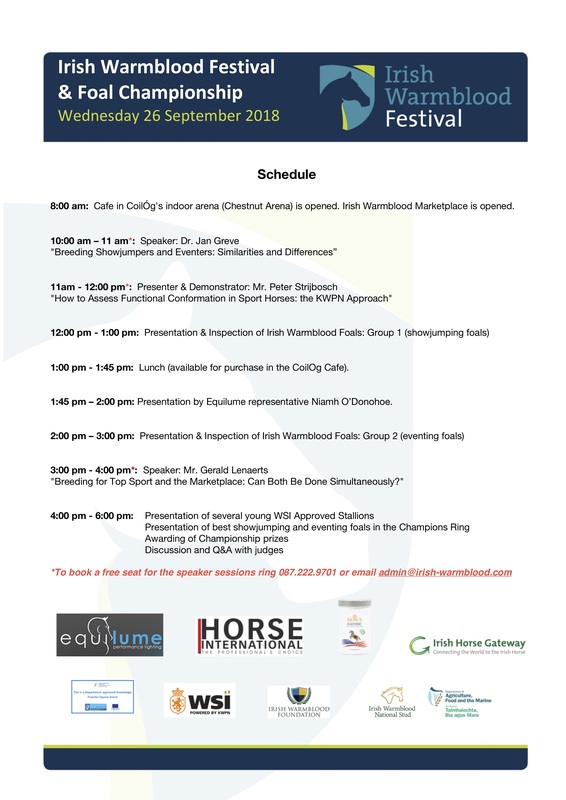 The Irish Warmblood Festival celebrates the quality and athleticism found in Irish Warmblood foals, gives breeders the opportunity to network and learn best practices and new ideas from distinguished speakers, and offers visitors the opportunity to purchase top quality foals directly from the breeders. 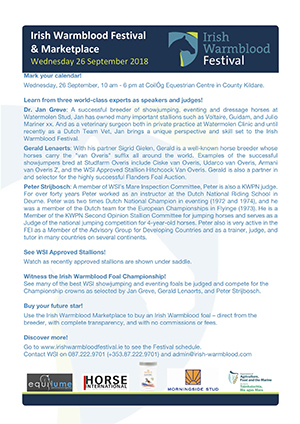 Showjumping, eventing, and dressage foals are featured. 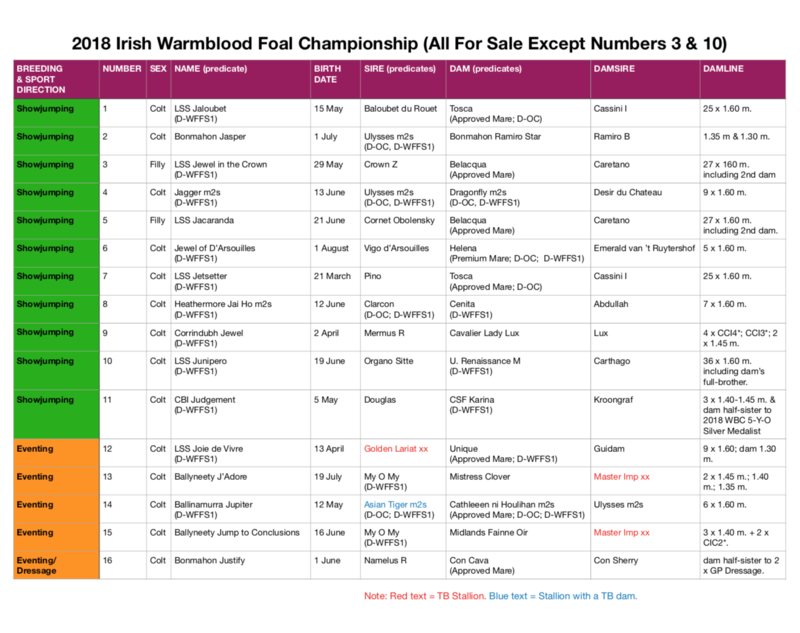 A Championship prize fund is shared by the best Irish Warmblood foals. 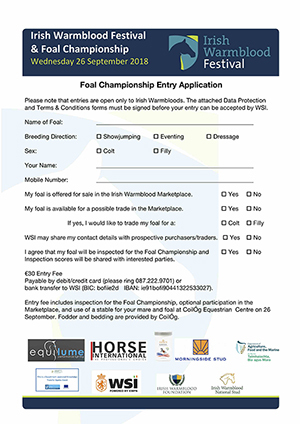 And the breeder of every foal selected for the Champions Ring at 4:00 pm will be awarded a free service to a WSI Approved or WSI Recognised Stallion. 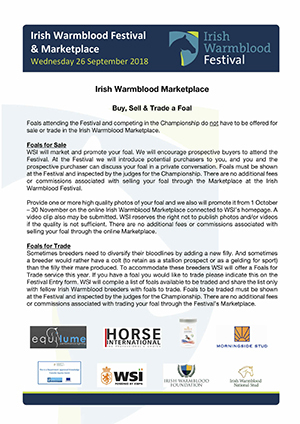 Well-bred and athletic showjumping and eventing foals will be offered for sale by the breeders at the Irish Warmblood Marketplace at the Festival. Buy you future star direct from the breeder without commissions or fees.